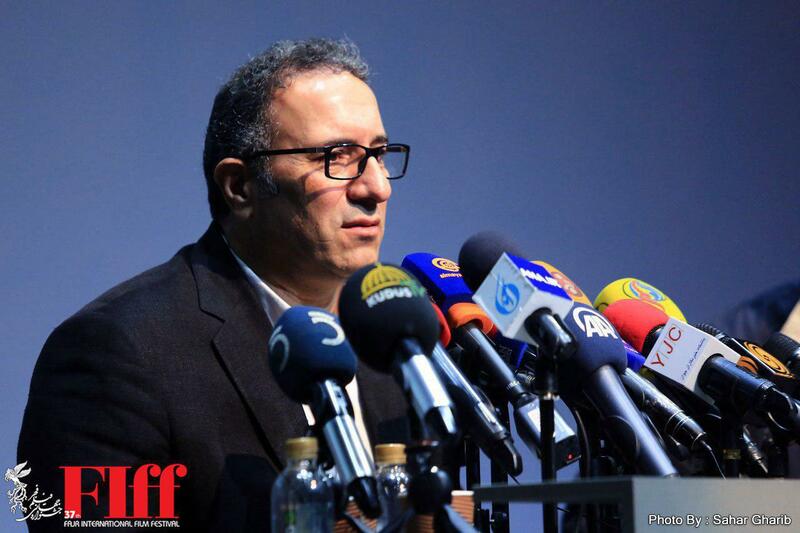 Seyyed Reza Mirkarimi, the award-winning director and secretary of the festival, said Washington’s bans have created problems in terms of encouraging film-makers to attend or present their movies at festivals, buying tickets for guests, mailing packages, etc. “This year, too, an organized campaign was trying to dissuade our guests from attending the 37th International Fajr Film Festival, but those attempts were fortunately not very effective,” said Mirkarimi at a news conference. “We have more than 250 guests from 58 countries who have clear backgrounds, and are not just tourists!” he said. He noted around 2,000 movies registered to take part in the event, adding 163 of those films from 64 countries will be screened. He said two short films as well as 10 feature films are being screened at the festival for the first time in the world. “Undoubtedly, we are the most important festival in southwest Asia and can be among the top three ones in Asia,” said Mirkarimi. 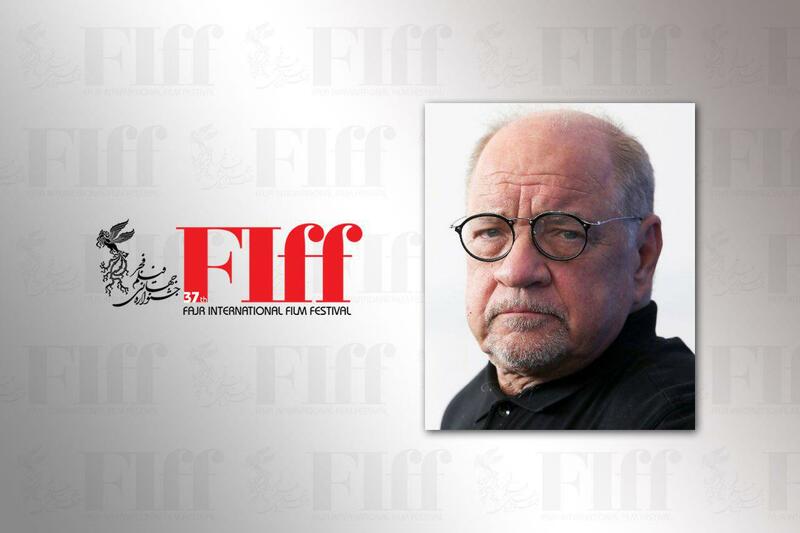 Paul Joseph Schrader along with five other critics are among the special guests of this cinematic event. Previously, nine other guests were named as the festival’s special guests. Schrader is an American scriptwriter, film director, and critic. Schrader wrote screenplays for four Martin Scorsese films: Taxi Driver, Raging Bull, The Last Temptation of Christ, and Bringing Out the Dead. Schrader has also directed 18 feature films, including his crime drama, Blue Collar. Schrader’s script about an obsessed New York City taxi driver became Martin Scorsese’s film Taxi Driver, which was nominated for the Oscar for Best Picture and won the Palme d’Or at the Cannes Film Festival. Besides Taxi Driver, Scorsese also drew on scripts by Schrader for the boxing tale Raging Bull, co-written with Mardik Martin, The Last Temptation of Christ, and Bringing Out the Dead. Schrader directed his first feature, Blue Collar in 1978. Among Paul Schrader’s films in the 1980s one can refer to Mishima: A Life in Four Chapters (1985). Inspired by Japanese writer Yukio Mishima, the film was nominated for the top prize at the Cannes Film Festival. Other special guests of the 37th FIFF include Dimitri Alips, international sales manager of Courant 3d Film Festival; Julie Bertucelli, who worked as assistant Director to a series of well-known directors including Krystof Kieslowski, Bertrand Tavernier, and Rithy Panh; Turkish writer and film critic Rıza Oylum, Romanian director and screenwriter Adina Pintilie, and Chinese producer and director Liu Xuan. This year’s jury members are filmmakers, scholars, researchers, organisers, writers, actors, and critics from Iran and across the world. Turkish actor and director Muzaffer Özdemir, Iranian actor Navid Mohammadzadeh, and Chinese director Wang Xiaoshuai, as well as Oscar-winning Dutch director and screenwriter Mike van Diem are among those to decide winners of International Competition. In his press conference, Mirkarimi condoled with the victims of flash floods which hit much of Iran in the past weeks. He said all the proceeds from ticket sales at the festival will go to flood-stricken people. 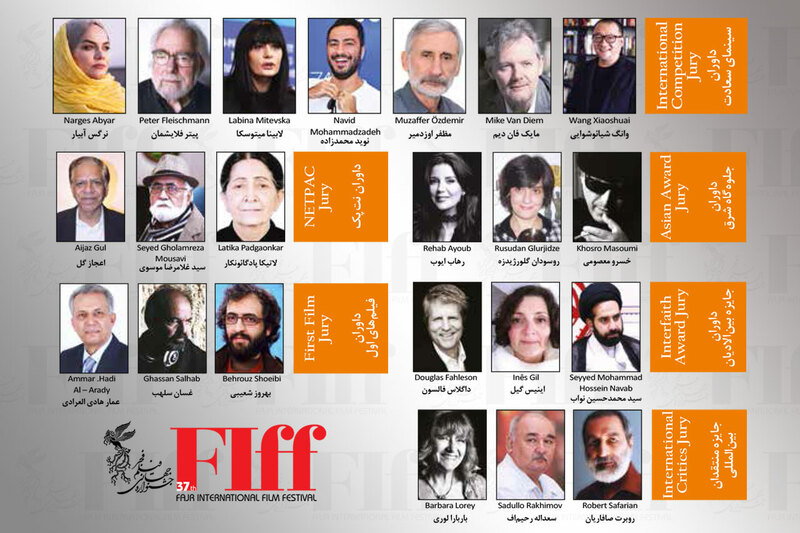 The 37th edition of Fajr International Film Festival would be kicked off in Tehran on April 18 and will run through April 26. Founded in 1982, Fajr International Film Festival (FIFF) is Iran’s largest annual film festival held in Tehran. 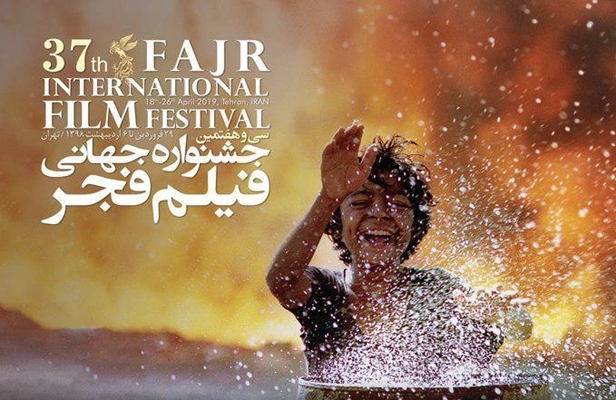 Since its establishment, Fajr International Film Festival has played a vital role in the development of the Iranian Cinema. Every year, veteran directors and new filmmakers devotedly present their works in the festival. Over the years, Fajr has been honored by numerous great film figures who have also worked closely with the festival as respectable Jury members. Moreover, a few of the most innovative films made by great filmmakers were awarded in different sections of the festival. During different editions, brilliant filmmakers have participated in the festival and have been presented with awards.